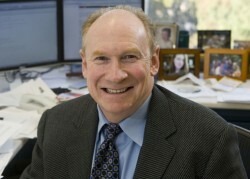 Lee E. Ohanian is Professor of Economics, and Director of the Ettinger Family Program in Macroeconomic Research at UCLA, where he has taught since 1999. He is an advisor to the Federal Reserve Bank of Minneapolis, and previously has advised other Federal Reserve Banks, Foreign Central Banks, and the National Science Foundation. He has been an economic advisor to state and national political campaigns. His research, which recently has been discussed in the New York Times, Wall Street Journal, Washington Post, and other media sources, focuses on economic crises, and as been published widely in a number of peer-reviewed journals. He is a frequent columnist for the Wall Street Journal, Forbes, Newsweek, and CBS Moneyline. He currently serves on the editorial boards of 3 journals. He previously served on the faculties of the Universities of Minnesota and Pennsylvania. He is co-director of the research initiative “Macroeconomics across Time and Space” at the National Bureau of Economic Research.